The Utility Bench is a core piece of equipment for most gyms. 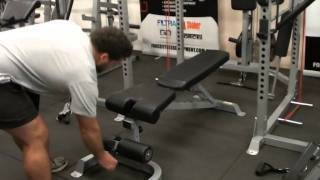 A utility flat to incline and decline bench can be used to perform an immense array of exercises to work out your entire body with focused isolation movements or compound muscle group movements. 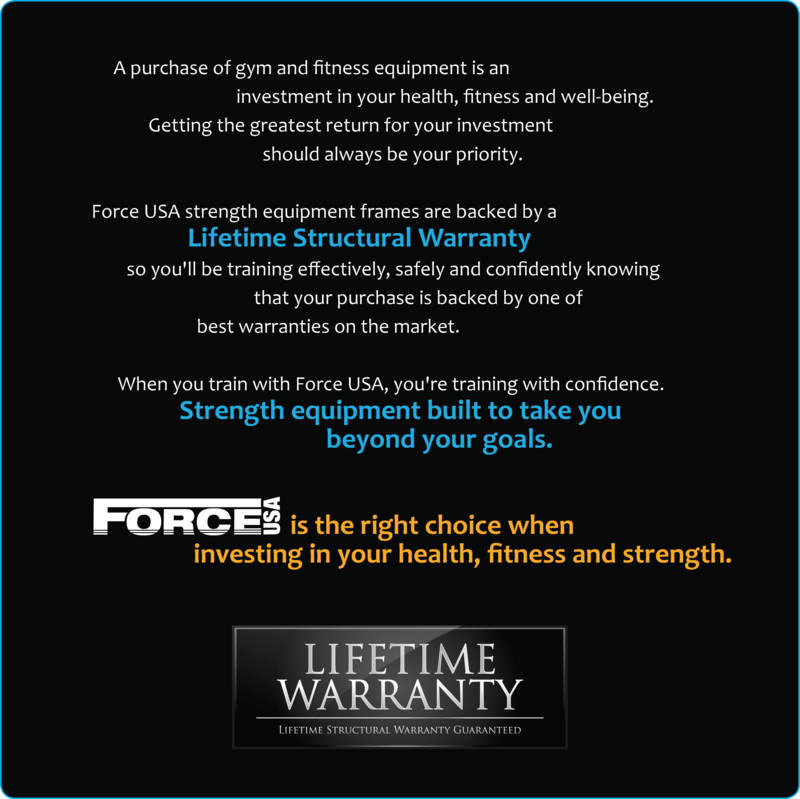 The F-UFID Force USA Utility Flat Incline Decline Bench is ideal for use in the home or gym and designed to be compatible with many different squat stands, power racks, smith machines and functional training systems. Solid in construction and effective in design, the F-UFID Force USA Utility Flat Incline Decline Bench is constructed with SteelForce structural integrity, coated in EcoCoat environmentally friendly powder coating and DuraCore high density foam padding wrapped in sewn rip-stop VorTex upholstery, all designed to be compact with the least possible floor space required. Great weight bench, fast delivery, very satisfied!! I have been looking for the best bench for quite some time now. 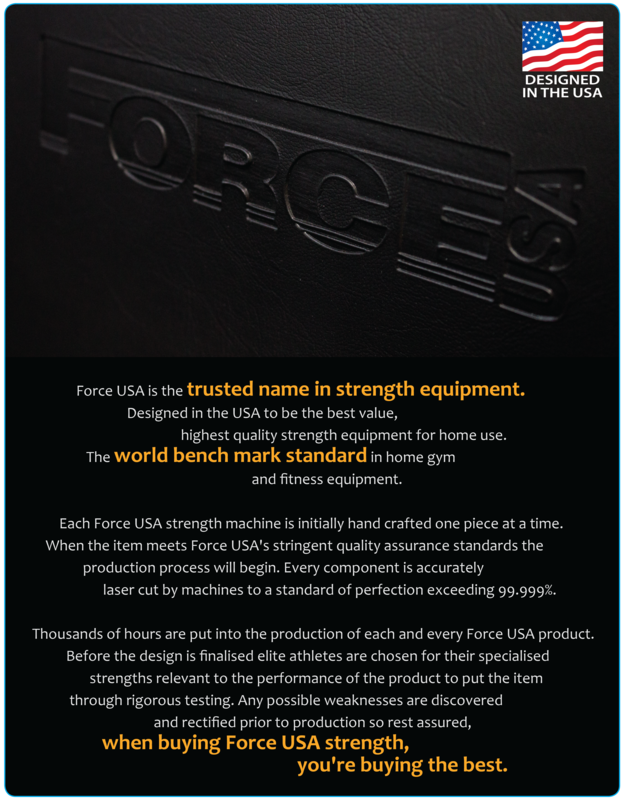 I'm so happy to end that journey with the Force USA FID Bench. I'm expecting it to arrive within a few days, but so far the Gym and Fitness Team has given me the best online service. Thanks guys!! This FID bench has everything I need. From the solid frame, comfortable seat, and fully adjustable features. The transport wheels also come in handy. Overall, Force USA has done an awesome job with this equipment. Also appreciate the quick delivery by the Gym and Fitness team, cheers! Very fast free shipping across States even. Great value for money product.